On Thursday, RSI celebrated 25 years of its existence at a special event. Besides welcoming the newly appointed Culture Minister ?ubica Laššáková, the Education Minister Martina Lubyová, the US Ambassador Adam Sterling, the Russian Ambassador Alexej Fedotov, other diplomats and representatives of RTVS, the editorial team was also addressed by the Slovak President Andrej Kiska. At the beginning of his video speech, Andrej Kiska congratulated the team on their 25 years of broadcasting abroad. He underscored the role of public service radio at a time when there is an array of questionable and doubtful sources of information. “A public service radio which is – quite rightly – subject to public control; which verifies the sources of its information. A public radio whose editorial team can be sure of their information.” Said the President, adding that the issue of freedom of speech and its limits is a big subject of debate globally. “But it is also a key factor because … it is not only those of our citizens who may find themselves for a certain time outside Slovakia’s borders, who live or work abroad, who deserve verified and truthful information. Our fellow Slovaks living abroad also deserve it. And in fact everyone who takes an interest in what is happening in Slovakia or Central Europe and wants to find out more deserves it”, concluded Andrej Kiska. On the occasion of the 25 years since the launch of the independent foreign broadcast by the public Slovak Radio, Radio Slovakia International was also addressed by the Foreign Minister Miroslav Laj?ák: ” 37 years ago, Music TV aired the hit “Video kills the radio stars”. I am very happy today that this black vision has not come true and radio was, is and will be.” The Foreign Minister continued with a remark on the important anniversaries to be remembered in 2018. To the centenary of the former Czechoslovakia, 50 years since the Prague spring and 25 years of an independent Slovak Republic, Miroslav Laj?ák added 25 years of the Slovak Radio foreign service. According to the the RTVS General Director, Jaroslav Rezník, broadcasting abroad should be part of the fully-fledged portfolio of every public media. Back in 1993, Radio Slovakia International informed about the establishment of the new country, later on about its transformation and success story. Today, RSI represents the primary source of relevant information about Slovakia on the internet, too. In his speech given on the occasion of its 25th birthday, Jaroslav Rezník called RSI the media foreign affairs ministry. “I am very happy that today I can meet people who were at the beginning as well as those who today are preparing broadcasts not only for RSI but also for the Slovak Radio as a proud and patriotic company”, said the current RTVS General Director. Click here to read at Radio Slovakia International. This entry was posted in International Broadcasting, News and tagged David Iurescia (LW4DAF), Radio Slovakia International, RSI on April 16, 2018 by Thomas. If you use the internet to listen to streaming audio and podcasts, you could be forgiven for assuming there’s no need for shortwave radio any more. It seems many broadcasters appear to agree, with stations dropping their shortwave services year after year. But not so fast. Shortwave’s not dead, say its proponents. Rather, it’s in a state of transformation. Not only does it still provide a vital service for the many millions of individuals worldwide who don’t have access to the internet, but this medium also has a certain ‘magic’ which, we discovered, is very hard for its fans to explain. 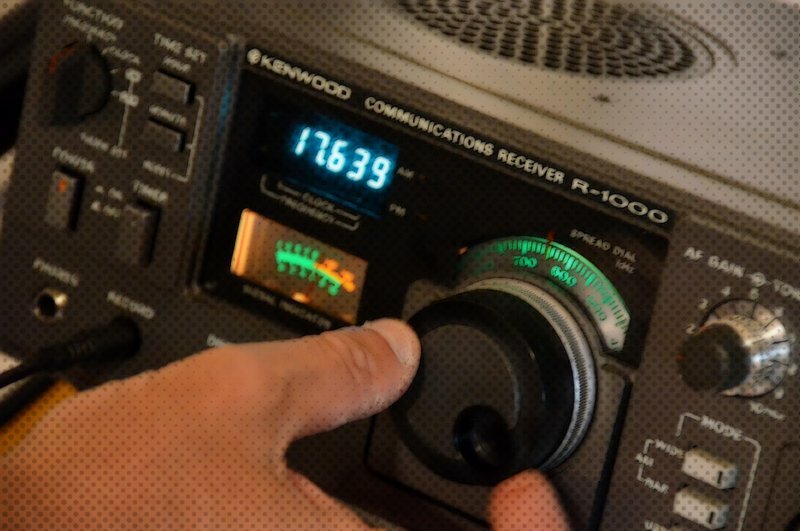 In this entertaining, full-length feature, Gavin Shoebridge asked shortwave listeners from across the globe to explain why they still use the service, why they don’t ‘go digital’, and where they think shortwave will be in the coming years. Click here to read and listen via Radio Slovakia International. This entry was posted in News, Shortwave Radio and tagged Radio Slovakia International, shortwave, SWL, Why Shortwave, Why Shortwave Radio on March 10, 2017 by Thomas. Many thanks to SWLing Post reader, Knut, who recently informed me that the German language services of Radio Slovakia International, Radio Prague, Radio Ukraine International and the Polish Radio External Service are being relayed on shortwave radio, via Radio 700 in Euskirchen, Germany. All broadcasts are on 3985 kHz and are transmitted daily (with 1 kW), beginning at 19:30 UTC. At one thousands watts, on 3,985 kHz, this will be challenging DX outside of Europe. Still, I love the fact that independent broadcasters (like Radio 700, WRMI, WBCQ, etc.) make shortwave broadcasting affordable for many of these international broadcasters. Knut originally learned about these relays through the German radio blog, DX Aktuell. Check out Radio 700’s full broadcast schedule by clicking here. This entry was posted in Broadcasters, News, Schedules and Frequencies, Shortwave Radio, What's On Shortwave and tagged Polish Radio External Service, Radio 700, Radio Prague, Radio Praha, Radio Slovakia International, Radio Ukraine International on November 22, 2013 by Thomas. Many thanks to SWLing Post reader, Dominik, who points us to the National Association of Shortwave Broadcasters’ latest newsletter, which mentions Radio Slovakia International’s intentions to, once again, broadcast on shortwave from Slovakia. Mrs. Mikusova noted that RSI has received feedback from listeners in 130 countries. “The core of this feedback,” she said, “comes from broadcasting our programs via short waves. We left shortwave broadcasting only recently, at the beginning of the year 2011, and not fully.” She noted that RSI remains on shortwave via WRMI in the Americas. Again, thanks to Dominik for sharing this hopeful news! This entry was posted in Broadcasters, News, Schedules, Schedules and Frequencies, Shortwave Radio, What's On Shortwave and tagged HFCC B13, Jeff White, NASB, Radio Slovakia International, RSI, WRMI on November 14, 2013 by Thomas.